At Pride Magazines we’re constantly working to ensure our clients are happy, our readers are entertained and our quality remains high… See for yourself! Lincolnshire Pride is the best magazine to do justice to highlight what Lincolnshire has to offer, especially the hidden gems that you wouldn’t immediately know about. Lincolnshire is a huge County so it’s really good to have a quality ambassador to highlight places to visit, places to eat and draw attention to local businesses and events not in your area. As a small, and relatively new business owner I’m also really grateful for how supportive the magazine is to help boost local awareness and put you on the map. A quality read with plenty to keep you busy! Your pictures and words are very descriptive and capture the essence of the garden and what I want to convey in my business. I am sincerely grateful to you. I’ve just received the magazine with our advert in and I have to say I LOVE IT! Really looks great, Mandy has done a fantastic job! We have been proud supporters of Lincolnshire Pride since 2010 and love the great working relationship we have with all of the Pride team. The quality of the Pride magazine is the product of a focused and enormously professional team who, from editorial to advertising, understand their clients’ businesses and deliver outstanding service. As regular readers, the Fairburn team loves the pick-up-able, quality magazine as much as we love working with the professional and helpful team at Lincolnshire Pride. As we are operating in the centre and to the south of the county, it’s important that we advertise our events in publications that reach our intended audience, but also quality magazines that share the same values as ourselves and the Pride certainly does that. It’s been great working with them over the years. We hope to work with them for many more! Working with the team at Lincolnshire Pride has been a pleasure to say the least. We have been publishing with the magazine for uncountable years now and it brings us much joy to be celebrating their 200th edition. The team are fantastic examples of delivering fresh and exciting campaigns whilst understanding the Oldrids & Downtown brand story. Like Larkfleet, Pride Magazines are simply part of the local community. We have been delighted to work with them over the years to promote our new homes across the region. Both organisations are committed to meeting the needs of our customers, whether that be house buyers, readers or advertisers. It has been a great pleasure to work with Lincolnshire Pride over the years and thank you for your continued support to the Lincolnshire Showground. The magazine is beautifully produced and a fantastic platform for the county. We have had the opportunity to share so many of our fantastic events and achievements and we look forward to sharing many more. We are proud to be a part of Lincolnshire’s foremost county magazine Lincolnshire Pride for the last ten years. As a company that has multiple offices across Lincolnshire, we are delighted that we have an outlet that is able to reach out to such a large amount of local households and businesses across the region. We have certainly grown with Pride. It is an honour to be a part of Lincolnshire Pride magazine, whose modern thinking, high quality and proud history match those of Lincoln Minster School. It is a wonderful platform, allowing us to share our latest academic achievements and extensive co-curricular offer to an affluent local audience. We have worked with the publication for a number of years and we will continue to do so. Pride Magazines have enabled us to help reach our ever-expanding client base over the years. With their assistance we have been able to reach target areas throughout the county. We are Proud to advertise in such a strong county magazine that takes Pride of place on so many coffee tables throughout the county. We've had quite a few jobs from Pride which has been great! We're really busy! Just wanted to say that the Christmas edition is totally gorgeous, a big thumbs up to your team. I’m taking this one home to read with a glass of red! I have just collected the Christmas edition to read while cooking the roast today and just wanted to let you know I am LOVING it!! ... Sooo festive and it’s taking me ages to read as every page is beautiful. Well done to Tilly, Rob and the rest of the team! This is a very good magazine. "I've had oodles of fantastic feedback and a 100% uptake rate. My campaign has paid for itself at least four times over!" I spotted the eye-catching cover of your September magazine on a recent visit to Stamford and was intrigued enough to search you out online ... and it wasn’t a waste of time! What a staggeringly impressive edition: I love your use of image – the lead picture on your shooting spread is brilliant and makes a mockery of the industry standard ‘don’t use backs of heads, faces only’; using mono for the Edwin de Lisle feature was inspired; loved your food & drink spread, particularly the ‘In the Kitchen’ feature; the homes & interiors pages were beautiful; and I really liked your ‘boy’s’ pages later in the magazine, a very pleasant surprise! I particularly like the way you start your text a good 12cm from the top of the page, allowing the contents to breathe. It adds an elegance and simplicity to the features, although we all know there is a lot of hard work and courage involved with keeping something ‘simple’. Congratulations on your magazines. As I said on the telephone, the Peterborough Pride is a lovely production, beautifully produced and a joy to look through. Good luck with it. I have generally been very pleased with the response with my current campaign and can confirm that it has led to 2 large projects totalling £50,000.00. I have worked in luxury publishing for the last ten years in prime central London, originally from just outside of Uppingham I have started to notice your publications upon visiting my parents and must say I am a huge fan! The quality and style match and often better most global publishers. Firstly may I commend you on a stunning production. Well done to you and your team. After recently settling in Lincs, I will now become a regular subscriber. I've been reading this on Readly today, a fantastic publication as always guys! Well, wow just wow at this latest edition of Pride!!!! It looks absolutely fabulous!!!! Baron and Baroness Pfetten would like to mention that they have enjoyed reading many pieces of remarkable quality written in your magazine. Congratulations on a fine looking portfolio of publications. A real credit to all your hard work! I have been advertising with Lincolnshire Pride Magazine for over 3 years, I can honestly say I have never been so busy. I’m aware that Lincolnshire Pride Magazine is distributed to the wealthiest people in the county, and many of their readers require bespoke suits, dinner jackets and shooting jackets. Their service is first class, we get on really well with the editor, Rob Davis and he goes out of his way to ensure our adverts and editorial are to our exacting requirements. I would thoroughly recommend Lincolnshire Pride and its sister magazines, not only are the magazines of the highest quality but the adverting really works to attract their quality readers to my services. I've been on board with Pride Magazines for just two months and I have already landed a £25-30k job directly from the magazine. I've had other calls from the magazine too! I loved this months issue. It’s so nice to have a magazine local to our area and I love the feel of the magazine it feels luxurious! I am so excited to have won this competition. My daughter has just emigrated to Spain and she was feeling rather homesick, so this is just the lift she needed! She is already choosing what she is eating at the restaurants when she comes back home. Many, many thanks! It’s been very successful for us. We’ve had so much business directly from our advertising, and have had positive orders for suits directly from Pride consistently throughout the campaign. Just returning from an appointment with a client. The customer, based in Sleaford, didn’t know we existed, even though we’ve been operating from our showroom in Swineshead for over 50 years, but saw us for the first time in Lincolnshire Pride, read about us and decided to call us. They said they receive the magazine through the post [as part of the magazine’s free distribution to homes of distinction] and have gone ahead and commissioned a kitchen worth £33,000. I'm a little biased as our wedding is featured this month (thank you!) but have to say the revamped magazine is stunning! It looks and feels much more modern and inviting, and the paper quality is amazing! Really love the redesign, well done! I have just received the April edition of Rutland Pride. I love the new look, especially the cover. It is really distinctive and will definitely stand out from the crowd! The magazine dropped onto my desk this morning and it looks amazing. It is just the kind of publication I would read. Looking at it next to other similar publications, it really stands out. I am liking the new format and love the front cover. It's modern and current. Love the artwork on the front cover and the overall general feel. Well done to all! I love the new look for the magazine! It looks like a Jack Wills brochure! Just wanted to let you know I love the new look Pride magazine. Well done to you and the team. Just received my copy - I love the cover image and the stock you've gone with. It's a thumbs up from me! I just want to say how classy the new look Lincolnshire Pride magazine is. You must be the number one magazine now? I love the feel of it and the quality is excellent. Well done to the Pride team! 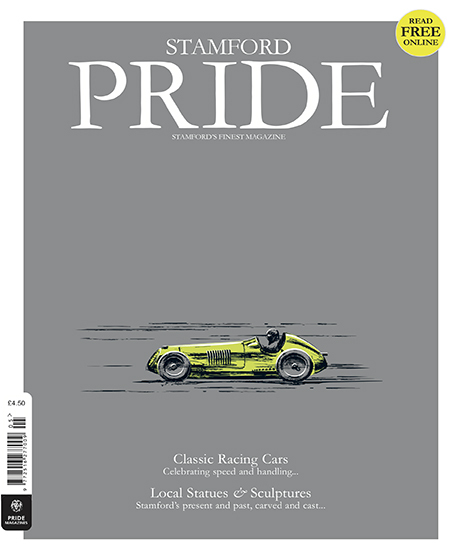 I have just received the latest edition of Rutland Pride and I just wanted to let you know how great I think it looks. The front cover looks amazing as does the quality of the paper and I am very pleased with the Cavells double page spread advert. Looking forward to seeing you in a couple of months. The whole team is so proud to have won the Restaurant of the Year Award and we all would like to thank the team at Pride Magazine for everything they do for Hambleton Hall. Your photographs are brilliant thank you and we shall now display them “with pride” in the reception hall. I was delighted with the proof article and amazed by the speed of both creating the words and designing the pages! It looks and sounds great. I love the tone of the article and think you have hit exactly the right note; you have managed to convey the school's academic achievements and the extensive range of extra curriculum and sporting activities we offer too. Thank you so much! I'm really delighted with the exposure you have given me in the July edition of Rutland Pride. Many thanks guys! We've had a number of jobs from it, just waiting on an answer for one job that will pay for the campaign on its own! I am so grateful for the lovely article you wrote on my garden in Whissendine. We had more visitors than normal (400 – a record) and people came saying they had read the article! Including the tea money, we raised over £2500 which is great for a three hour opening! I can't thank you enough for another quality read. The latest edition of Lincolnshire Pride is just fabulous, so refreshing and packed with interesting features, I just can't wait for the next issue as it's by far the best publication on the shelf. Please keep up the great work and thank you for many inspirational ideas. I've just booked a Rutland lodge break after seeing the advertisement in your magazine, wouldn't otherwise have known about it. It’s been great working with yourself and your team for previous advertorials, so I feel we are in safe hands for the year ahead. We will definitely be continuing to advertise in 2016 with you, as it works wonders! I absolutely love the magazine! It arrived today and I would like to have the 12 month subscription please. It's everything I look for in a magazine, I especially loved the review of the Red Lion and the food photographs, the gardening section and the wedding flowers, in fact all of it really. The other magazines for my area never have anything about Oundle in there so this was fantastic. My daughter-in-law wanted to borrow it but I wouldn't let her take it as I want to read more of it, I will perhaps buy her a subscription for her birthday! Just a short email to thank you once again for the excellent article you produced featuring Otters, in your April issue. Whilst the quality of editorial and layout is excellent I am particularly impressed by the level of quality creative photography; you are certainly something of an expert in this field. On a general note I have have to say that, apart from myself, others that I speak to are equally impressed with the overall editorial quality, style and presentation of your publications. Firstly a big thank you to RP for the article, Andrew and I were both very impressed. Please pass on our thanks to Rob. There has been good deal of interest from Cherry House customers, I was there this morning while a new booking from Stamford was taken so I guess it’s working! A quick line to say I LOVE Linconlshire Pride. I’ve just been flicking through the November issue and you do such a fab job on making the content interesting and striking the right balance between editorial and ads. It’s spot on! Thanks so much for that lovely spread you featured me in last month, I have had lots of lovely comments. Also thought it was great to get a copy of the page to display and the car stickers etc! I have had my first cupcake order from your magazine... I am so pleased, it's a very good order! I’ve signed up a client today from Lincolnshire Pride, I’m taking on another and have just had a call from a third who wants to speak to me... you get what you pay for and I am paying for pure gold and diamonds with you. Thank you so much! We have worked with Lincolnshire Pride Magazine since it launched its new look luxurious magazine in January 2009. The superb photography and artistic layout, set off beautifully by its whitespace ethos, created a magazine of real quality. 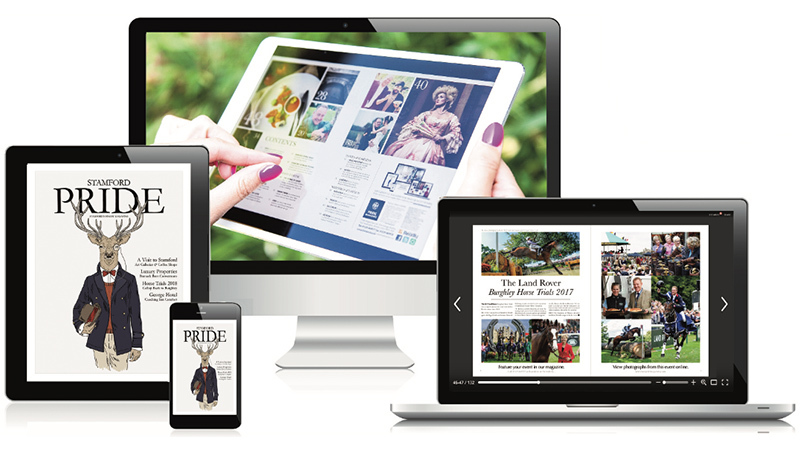 We felt that Lincolnshire Pride Magazine provided the ideal platform to reach customers who would appreciate our goals, and this has proved to be the case. We would not hesitate in recommending Lincolnshire Pride Magazine for an advertising campaign aimed at reaching a discerning audience. We wish to pass on our congratulations for all the hard work Lincolnshire Pride undertakes to promote The Tally Ho Inn. It’s a pleasure to work alongside you and long may it continue! I've had people come to see me from Lincolnshire Pride. They've said 'I've already seen your work in the magazine so I'll definitely have something without seeing you first. Lincolnshire Pride is a great magazine that appeals to a healthy cross section of people. We have received significant footfall from advertising with them. The team at Lincolnshire Pride offer a friendly and efficient service and we are very pleased with the support that they give to local businesses. Thanks for your time, creativity and professionalism at all times - well done to you all.